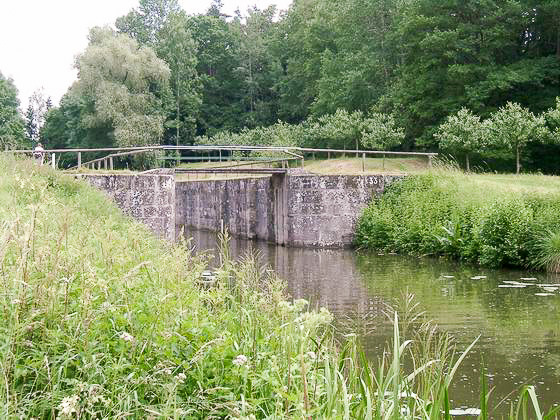 Lock 33 near Rübleinshof before renovation in 2003. 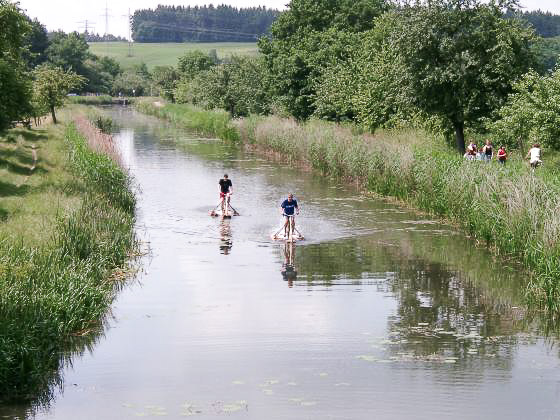 It is the northern end of the canals 24 km long summit level. 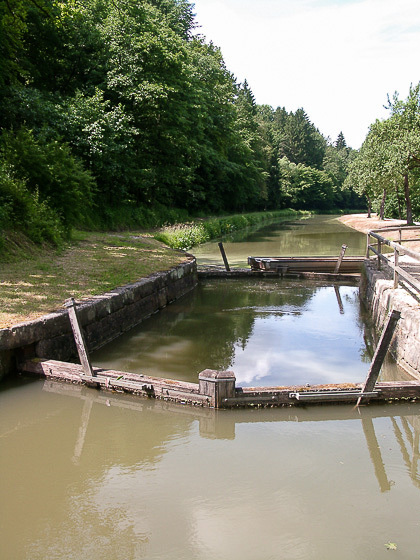 Next lock in southward direction (Kelheim) is lock 32 near Sengenthal. 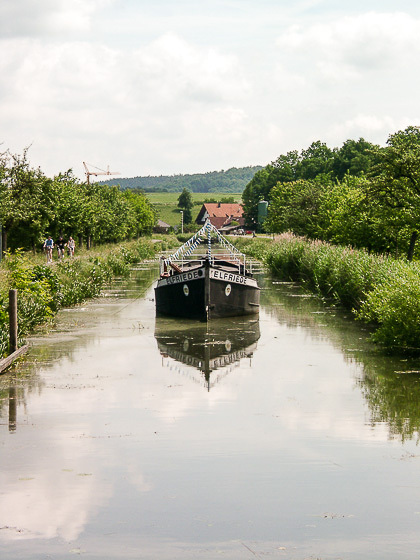 The tow boat Elfriede near Schwarzenbach. It is possible to do tow trips with her. The Elfriede will be drawn by horses. Sometime in the future it should be possible for Elfriede to tow up to railway station Burgthann. That was reported by local advertising paper "Wochenanzeiger Neumarkt" on 23/10/2003. Usually these safety gates have been open. 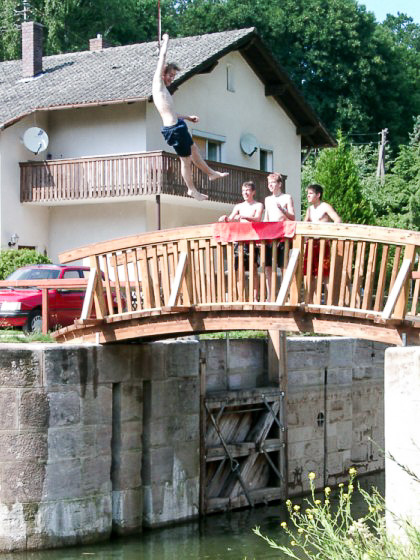 But in case of a dam failure they were closed automatically by the resulting current, because they are installed at an angle at narrowed places. The photograph shows gates near Unterölsbach. Such gates are installed at regular intervals in longer pounds (i.e. 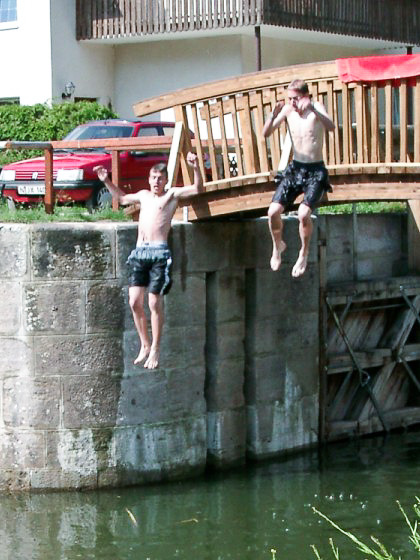 sections without locks) and at both sides of dams. They minimize the escape of water in case of dam failures and they give the possibility of de-watering canal sections for repair work. 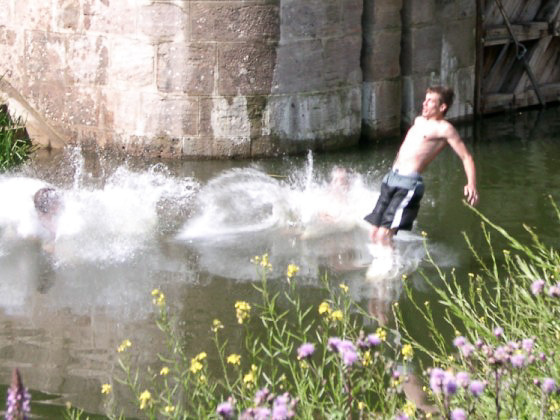 Another way of travelling along the canal.